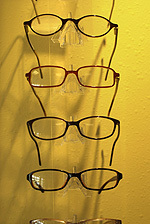 Making a decision about your eyewear goes beyond good vision and makes a statement about who you are. At Texas State Optical we know that your decision affects how you see and also how you want to be seen by others. But with so many different styles to choose from, getting the right look for your face and your lifestyle can be overwhelming.